"no future express" is an artist collective composed of three misfits creating zines, artist books and other related ephemera. Artists include Leigh Kaulbach, Eugene Sarmiento, and Fuko Ito. 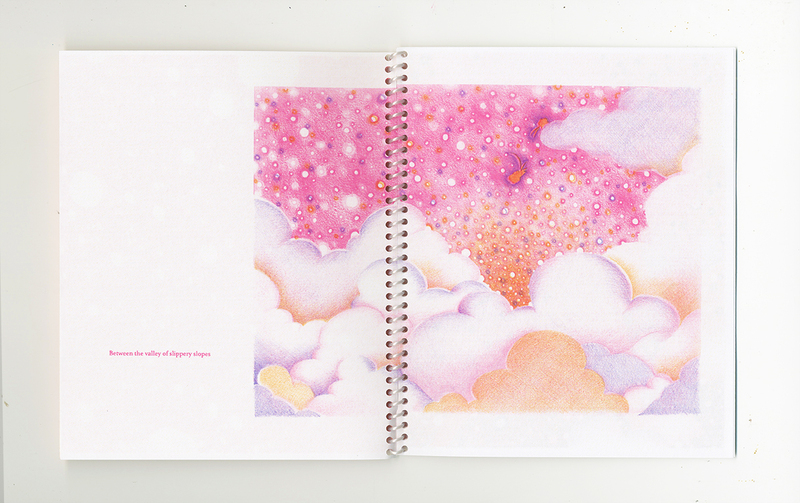 Through Bracelet Press, a small Riso outfit founded by Leigh Kaulbach, operating from Lawrence, Kansas, we print "no future express" publications as well as other artists' printed matter in collaboration with the Visual Art program at the University of Kansas. Our publication interests range from eternal schadenfreude, lasting friendships/sisterhood, to plushy emotions. We are also interested in the formal qualities of image making oftentimes in reference to art history. As a collective, we’re interested in collaborating with local and national artists to print affordable, good-lookin’ printed materials that are about sharing ideas, images, stories, and narratives told by artists from all walks of life. 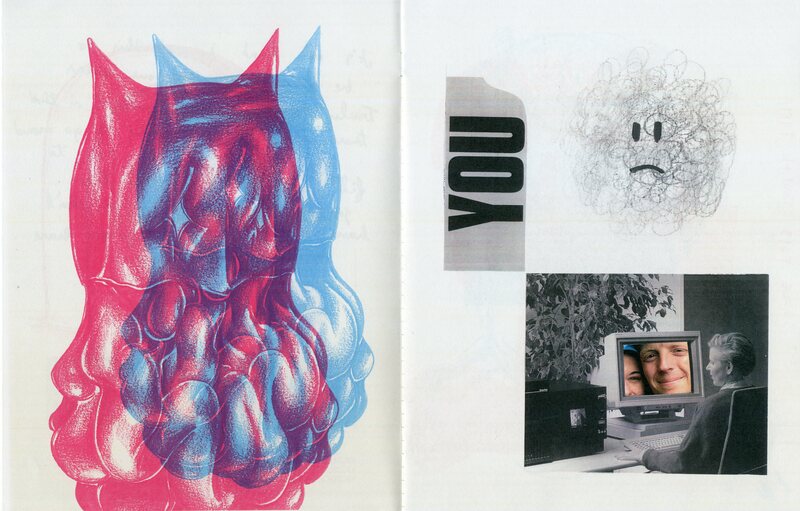 What methods do you use to make your zine? What type of binding do you use for your zine(s)? When did you start making zines ... and why? I started making zines in 2009, after photocopying old drawings and pasting them in book format as a mock artist book for a class assignment. I was really into the result of this raw pamphlet style book with just horrible quality and scribbled notes and decided to make more. The experience was super liberating in it being in such an academic setting. One thing led to another and I became super interested in this whole world of DIY publishing. You have so much control in what you put out and the cool things you can do and lead in changing the world around you for the better. 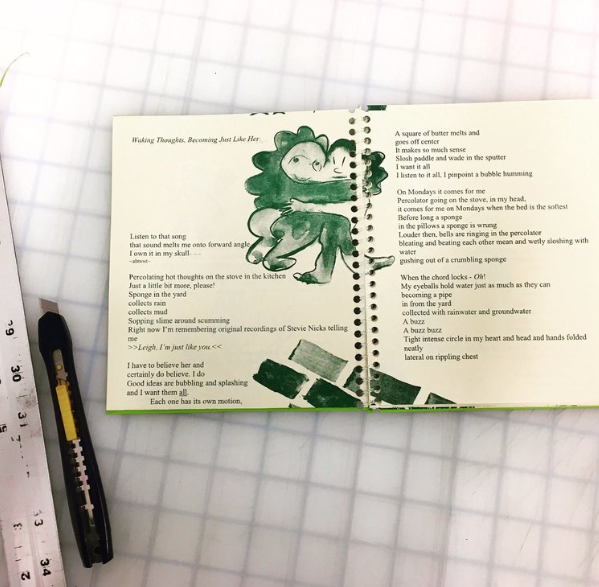 What is your favorite part of making zines? ANYONE CAN MAKE THEM! this form of information dissemination is so inclusive and easy to make that it is so welcoming! I also like planning out the format of the zines I make. I work as a print-maker and this form of art making embodies the spirit of printmaking. FUN!! 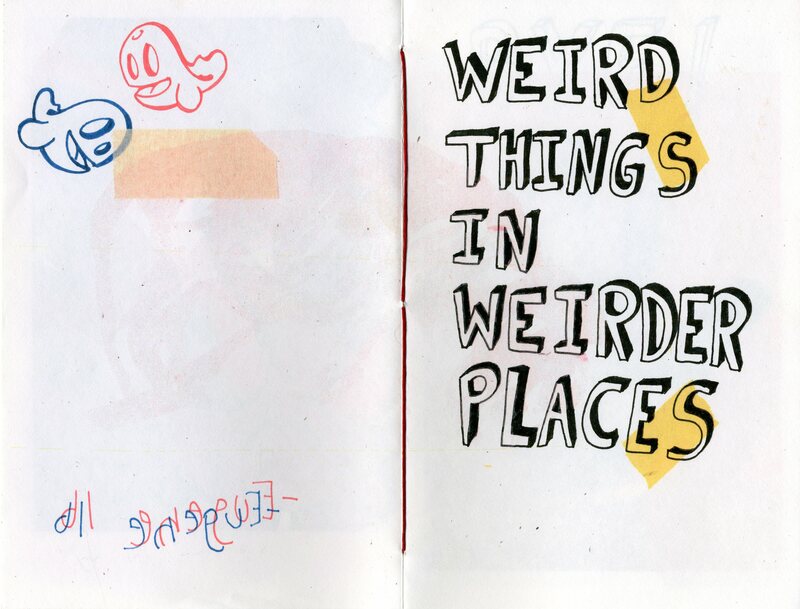 Is there anything else you want people know about you or your zines? Long Beach Zine Fest 2018 is September 15, 2018 from 11am to 5pm. Admission is free. Get details here. Free offsite and street parking is available. Get details here. Long Beach Zine Fest is a free one-day event promoting zines, independent publishing, and DIY culture, featuring a diverse zinester marketplace, plus live music, panels, and workshops.